Boasting the best attendance figures for a domestic competition of either Rugby code, the National Rugby League or NRL competition, based in Australiasia, is the premier rugby league competition in the world. The NRL competition features 15 Australian teams and one New Zealand-based side. The NRL season runs across 25 rounds, starting in march and culminating in October with the NRL Grand Final. Before 2018, the season was 26 rounds, however, a new season structure means one less bye for every team with a weekend off in the middle of the season for representative football. The new structure means the ANZAC Test Match between Australia and New Zealand is gone, as is the City-Country fixture. The three-game State Of Origin series still exists though, with one of the games to be played on the weekend off. The Melbourne Storm won the 2017 NRL Grand Final 34-6, and the Queensland Maroons won the 2017 State of Origin series 2-1. The grand final is played at ANZ Stadium in Homebush every season. 2018 will be the first time in many years a State of Origin match will be played away from its usual Wednesday night time slot. While the first and third game remain as they were, the second game is played on a Sunday afternoon. It will shorten the length of the Origin period overall. The first season of the NRL was held in 1998, but the league can date its origins back to the New South Wales Rugby League (NSWRL) which began in 1908. Two clubs remain from the foundation of the NSWRL, the Sydney Roosters and the South Sydney Rabbitohs, though the modern club Wests Tigers is a merger of two foundation clubs, the Balmain Tigers and the Western Suburbs Magpies. The league expanded over time and in 1982 added its first two clubs from outside the suburbs of Sydney, Canberra and Illawarra. 1988 saw another regional side, the Newcastle Knights, join the league, as well as the first two Queensland clubs, the Brisbane Broncos and Gold Coast-Tweed Giants. In the 1990s the emergence of a truly national league caught the attention of international media organisation News Corporation, who formed their own ‘Super League’, admitting some of the existing clubs and poaching prominent players. In 1997 the one and only season of the Super League ran opposite to the ARL with a total of 22 teams running across the two competitions, most of them struggling to turn a profit. Eventually a compromise was brokered that allowed a single league to be run and this was the birth of the NRL. It ran with 20 teams in 1998 but this was reduced by merger and removal to 14 by 2000. This was later bolstered to 16 by the return of South Sydney in 2002 and the creation of the Gold Coast Titans in 2007. 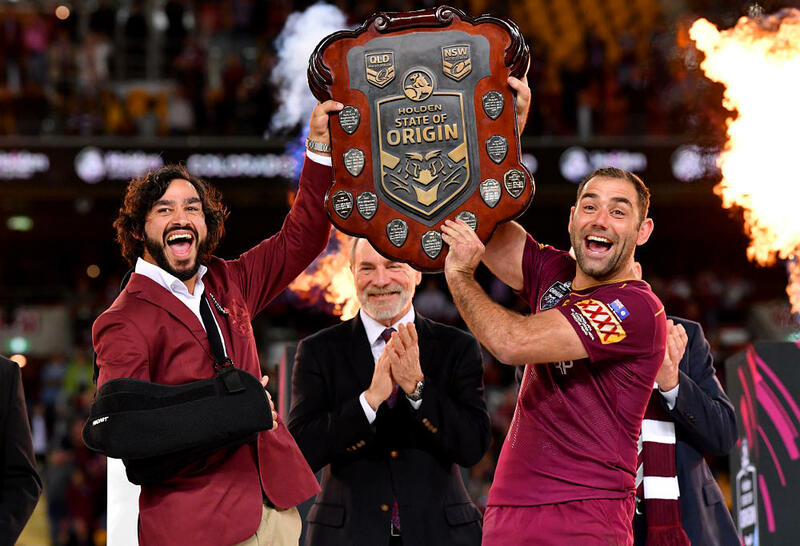 The league’s popularity has rapidly grown since and its Grand Final and State of Origin representative games are now among the biggest events on Australia’s sporting calendar. The league’s premiership trophy is known as the Provan-Summons trophy, named after Norm Provan and Arthur Summons. The Brisbane Broncos are the most successful team in the modern NRL, with three premiership wins to date (1998, 2000 and 2006). The Clive Churchill Medal is awarded each year to the player judged the best on ground in the NRL Grand Final, while the Dally M Medal is awarded each year to the player of the year. To keep up to date with all the latest NRL results and live scores, check out our NRL live scores page.